These words are responsible for a completely spur of the moment trip that Wanderlustmate M and I took into Engadin, a region in Switzerland whilst on our jaunts in Italy. Through following my series “Footsteps in Italy” my Wanderlusters will probably recall that our adventures out here involved a road trip all the way from Florence to Lake Como. It was whilst we were driving from Milan to Como that we saw snow-capped peaks en route, which in my vivid imagination were none other than the Alps, and I just HAD to find a way to see them up close. The one thing I love about Europe is borderless travel and how easy this makes it to hop from one country into another. For a Kenyan Passport Holder, a Schengen Visa is the epitome of traveller’s heaven because in my world, this allows me to see multiple countries on one Visa and that is simply amazing! Despite their proximity, the landscapes in each of the countries in Europe differ so much from place to place and the perfect way to traverse and explore this diversity is by taking a road trip. The prospect of simply getting into a car and going somewhere that catches my fancy is to me, the crux of wanderlust, the very essence of travel: to discover those places that I once dreamed about and revel in those moments, pinching myself to make sure that I am not dreaming but now breathing life into what was once a dream. Setting footsteps in Switzerland on my quest for snow.. So, fuelled with wanderlust and the image of snow-capped peaks in mind, Wanderlustmate M and I set out to find me some snow. Poring over some old-fashioned maps in our hotel room in Como revealed that the Engadin Region was the closest and easiest to get to from where we were and ideal for a day trip and so we headed out to St. Moritz, the most glamourous of ski resorts frequented by the rich and famous when it comes to skiing holidays. Now, in my imagination, we would see endless mountain peaks blanketed with snow that go on for miles on end. 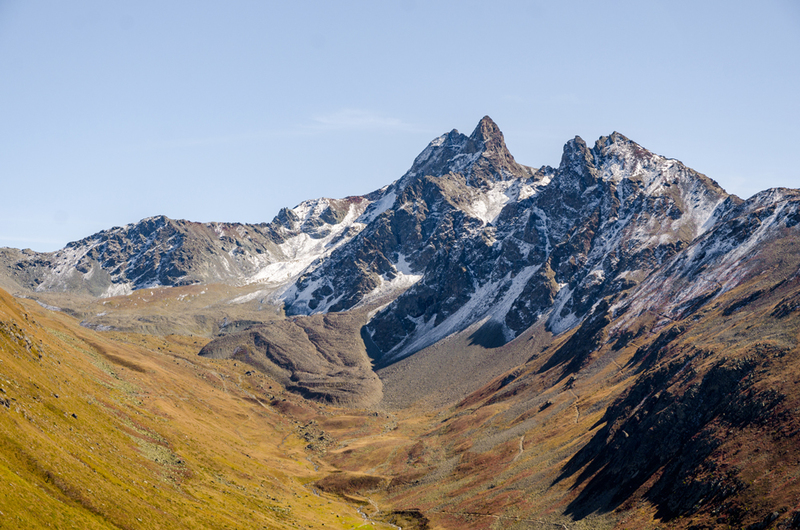 In reality, at the tail end of summer, there isn’t any snow because it has all melted away and what your eyes are treated to is the view of lush alpine scenery, complete with beautiful blue lakes with green pastures and meadows fringed with mountains. 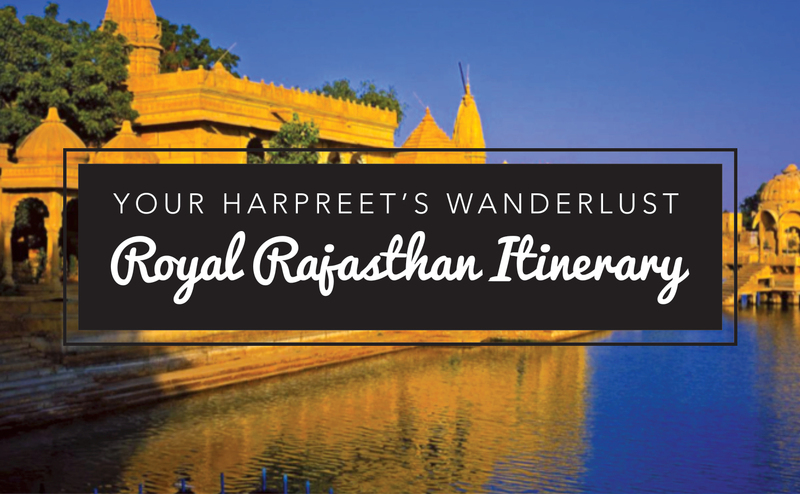 It is completely unspoiled nature, and there is nowhere quite like this in the world. I just cannot contain my excitement at the gorgeousness around me! 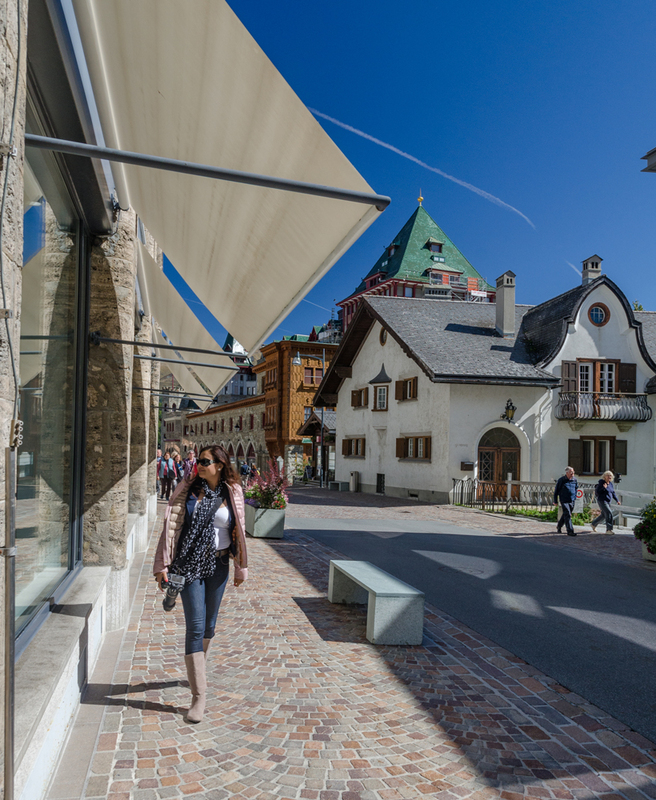 St. Moritz which would ordinarily be bustling with activity in the winter revealed a different side to it at the tail end of summer. Relatively quiet, we enjoyed a leisurely walk in its environs, just soaking in the atmosphere and simply wanderlusting. 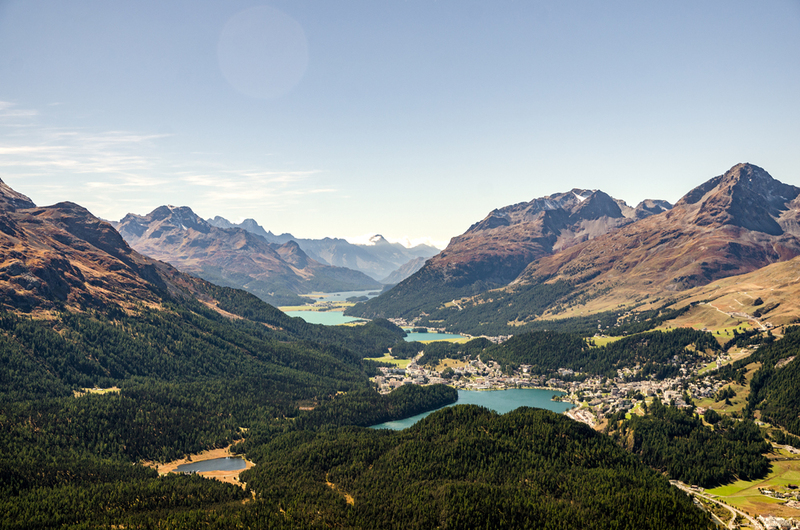 Surrounded by the Upper Engadin lakes and mountains, I can only imagine how pretty this place is in the winter, dusted with snow like powdered sugar on a Victoria sponge cake. The town itself is cutesy, lined with luxury boutiques and of course, irresistible Swiss chocolate shops selling the creamy bespoke gorgeousness that is Lindt. 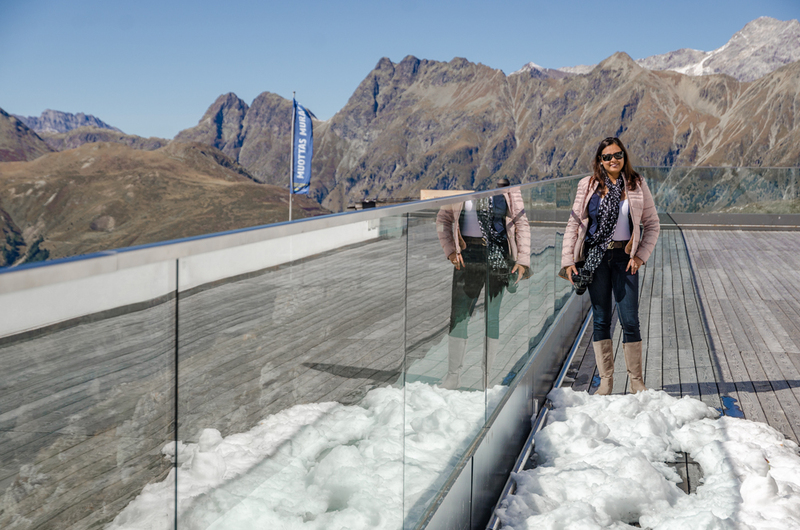 But that’s about it for St. Moritz in the summer, well for us anyway because we weren’t out here to indulge in any of the activities it has to offer other than to make my whims and fancies of seeing snow come true! 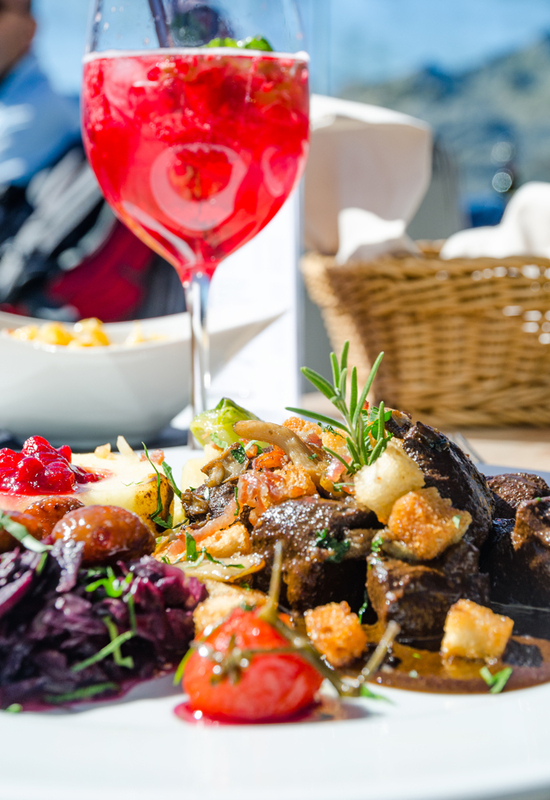 These fantasies my dear Wanderlusters, the lust to see snow, is the reason we stumbled upon a little gem out in the Engadin region: Muottas Muragl. See, in my mind, the Alps are perennially laden with snow and there isn’t any such thing as summer or winter, but of course, the reality is something else. I was stubbornly refusing to believe that there would be no snow for me after driving for nearly 3 hours from Italy into Switzerland and my Wanderlust spirit was insistent that surely there was some snow SOMEWHERE along the Alps, hopefully nearby that would make this fantasy come alive? It is so true, what Paolo Coelho says. When you want something bad enough the whole Universe conspires to make this happen. Some furious googling revealed that indeed there was a high enough peak of the Alps that wasn’t too far from where we were and with this came the promises of…you guessed it, snow! The drive, oh my gosh, the drive to get to Muottas Muragl was just something else. I wish I had the words to describe what can only be deemed breath taking. Our trusty Jane’s screen highlighted crazy hairpin twists and turns winding up the mountain, and with each mile, as we drove higher and higher, all we could say mutter under our breath was “WOW”. 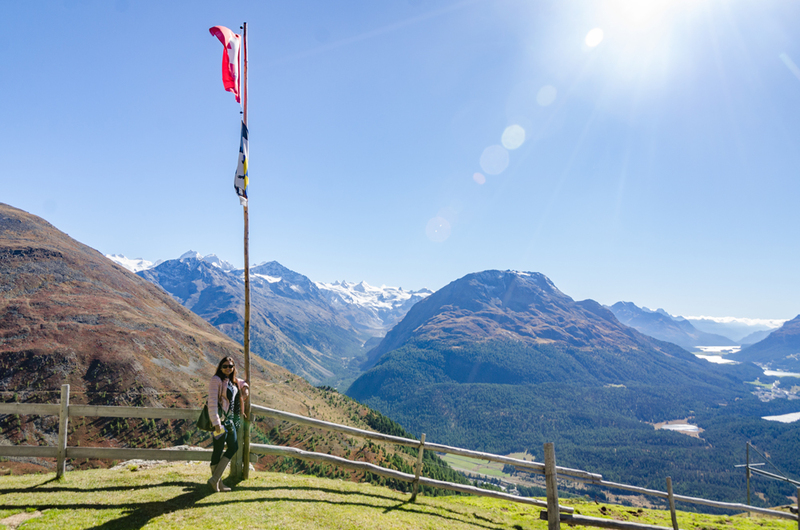 Google had promised us the best landscapes and views of the Engadin region from Muottas Muragl, and as we know, Google doesn’t lie…indeed, the scenery out here is spectacular, to say the least. Lush Alpine pastures with peaks and valleys go on as far as the eyes can see, dotted with enchanting little villages with beautiful chalets and blue glacier lakes. It is indeed a landscape of pure fairy tale’esque beauty. Our destination: the Romantik Hotel at the top of the mountain range. 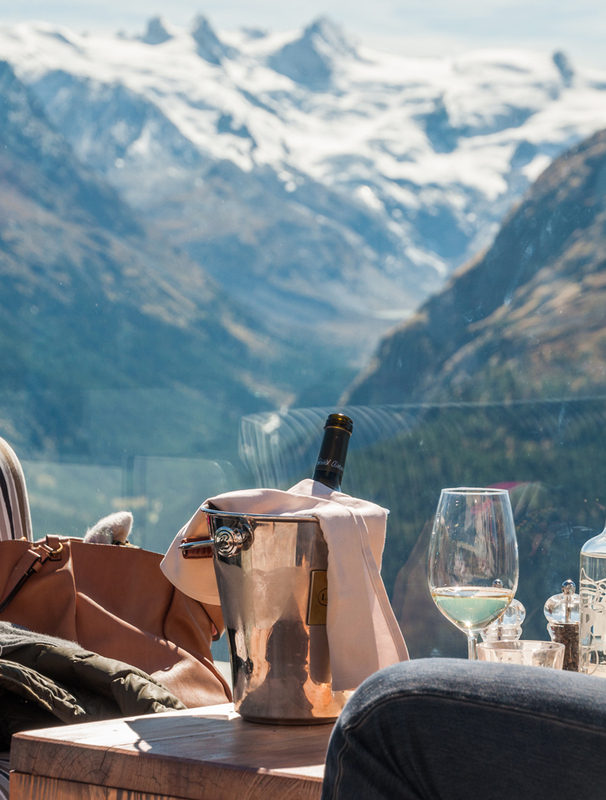 The view: a panoramic, uninterrupted idyllic scene of never ending peaks, beautiful meadows, classic Alpine scenery and the cherry on the cake: the glacier glistening at the top surrounded with dustings of snow. It still wasn’t the endless peaks blanketed with snow that haunted my imagination but my little Wanderlusting heart was content. I got to see snow and even stand amidst some on the terrace at the Romantik Hotel, because it was that cold out there! Yay….finally got to feel some snow! I have a thing for signs! I am a foodie as much as I am a Wanderluster and so of course being in Switzerland meant that I also had fantasies of the cheesy goodness that is raclette and fondue. Back home, my parents have this red cookery book by Hamlyn. I am a firm believer that the sole purpose of this cook book is simply to tantalise our taste buds because all we ever seem to do is flip through the pages and look at the delicious looking pictures and then end up cooking pasta! Anyway, one of the pictures in this recipe book is that of an ooey, gooey melting wheel of cheese that I have long since associated with Switzerland and given that I was here, of course this is what I had in mind when Wanderlustmate M asked me that all too familiar question of what I wanted to eat. Well, you win some and you lose some because there was no fondue or raclette on the menu at this restaurant, but there was potato rosti and a meat that I hadn’t tried before and had some qualms about eating – reindeer! Yup, I ate Rudolph! Eeeek! My sister has never forgiven me for that little revelation but my rule in life is to try everything at least once. There are some things I draw the line at, but I must admit I was curious as to what Reindeer meat tasted like and I dare say it was delicious! Yup, I ate Rudolph! Eeek! The irony is that my fondue dreams could have come true. 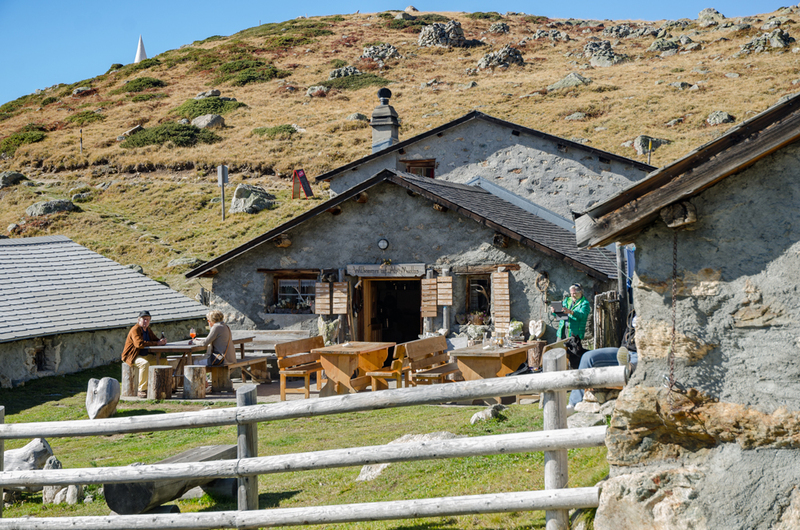 Walking around the gorgeous pathways of the hotel after we had eaten and soaked in the views from the panoramic terrace, we stumbled upon a cute log cabin offering none other than what I had been lusting after: fondue! Yup, right here in the gorgeousness of Muottas Muragl was a story book picture of Swiss perfection, barely 10 minutes from where we had been sat. The moral of the story is to explore before settling, though in hindsight we had a perfectly wonderful lunch and I doubt I would have changed that, even for fondue! There is always a next time and I can’t wait to set Footsteps in Switzerland properly to explore more Alpine treasures and indulge my inner child’s whims and fancies of making snow angels in powdered snow and easing myself into a cheese induced food coma by eating too much raclette and fondue! I do hope you have enjoyed this little ramble. Until next time, Happy Wanderlusting! Xoxo. 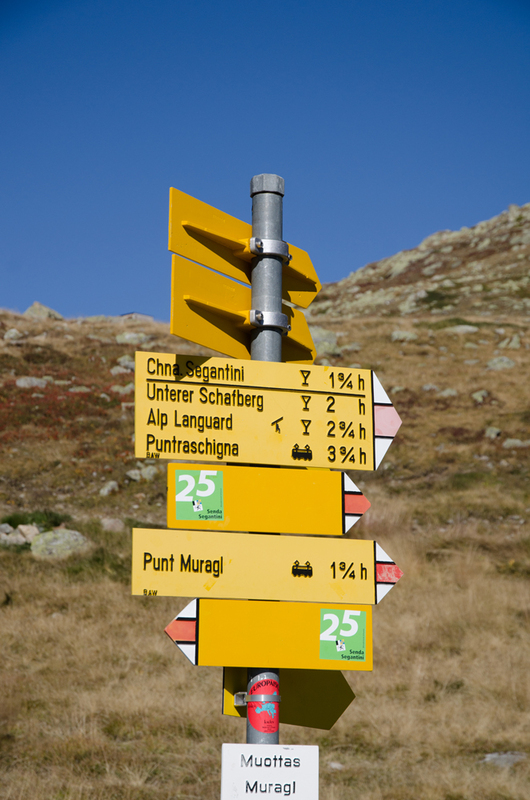 St. Moritz is about a 2 hr 30 min to 3-hour drive away from Como. 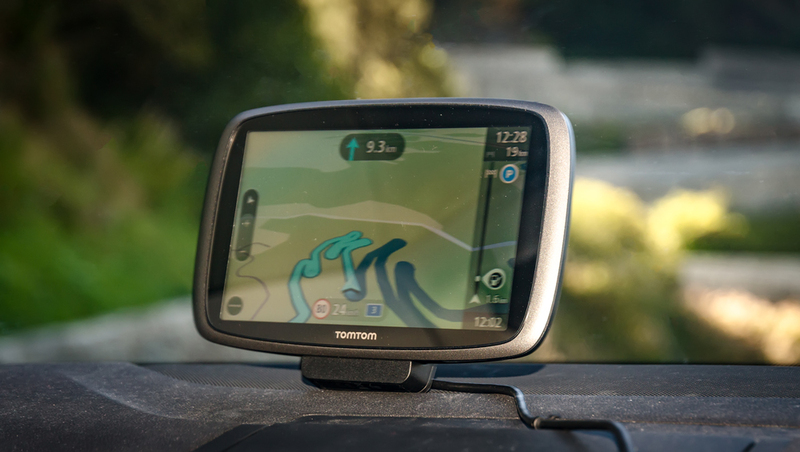 We simply input our current destination into our TomTom and followed the directions given. You can choose toll or non-toll roads, and we always find that though longer, the non-toll roads offer the best scenery and places for stopping to take beautiful pictures. We did take our Passports with us for the border crossing in case of any checks, but there were none. I would still recommend you carry your passport even on day trips because you just never know, and it is always better to be safe than sorry. The pictures say all, that why visiting Switzerland is everyone’s dream.No doubt, Switzerland is one of the most beautiful places in the world but In winters the beauty of Switzerland can’t be compared with any other place. 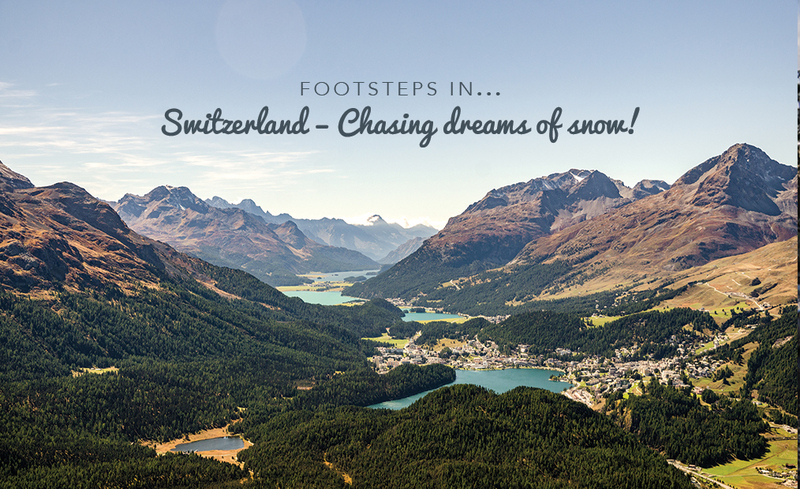 I felt like I was in a dream….still need to go back to see Switzerland in the winter! I always admire beauty of nature and yes Switzerland is full of that beauty no doubt. 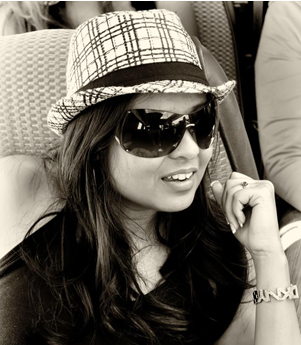 But i would say that your way of expressing the that beauty also nice. You also beautiful lady. Magnificent post.Road trips are always best.I love road trips.Love reading your blog.Pictures are also good.Thanks for the post.Keep sharing. Thank you so much for stopping by Fred, and thank you for your wonderful commnent, glad you enjoyed the post! 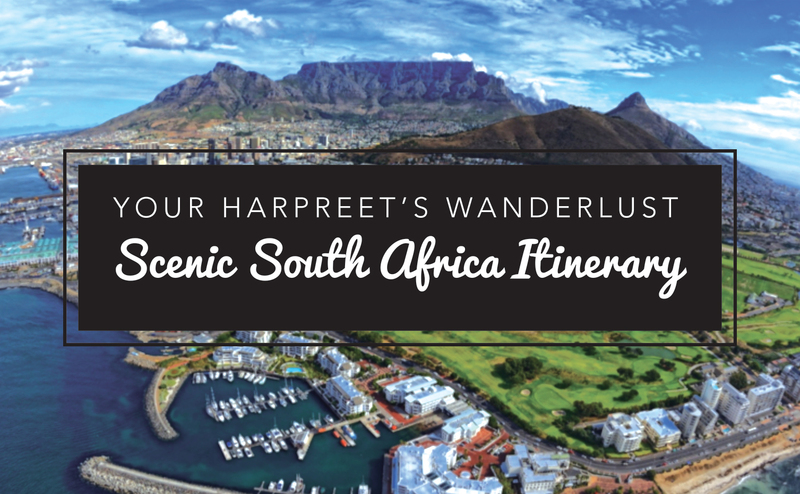 Previous post: WanderInspo…Confessions of a Serial Wanderluster!